new blogging series at Simply Klassic Home! 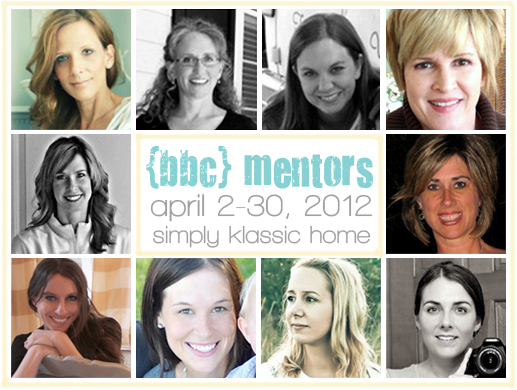 It is such an honor to be included as a mentor in Kristin's new series that she is running! It is called the Beginner Blogger Club, and it starts tomorrow. It will be chock full of great info from both experienced and new bloggers. The series will cover everything from photography, blog etiquette, technical features of blogging, marketing, and much more! Be sure to check out her blog- you can read all of the details on the series by clicking here. Thanks for the opportunity Kristin! I hope you enjoy this series and meeting some new blogs as much as I will! Thanks Denise! Looking forward to having you be a part of the series! I am so glad you are part of this, how exciting!! !